SEO training is the process of improving the visibility of a website or a webpage in search engines via the natural or un-paid ("organic")search result. SEO training is the process of implementing best practices as per search engine guidelines to Rank Higher in search results. In other words SEO is generating traffic to our site using organic search results.SEO training is one of the most powerful tool for generating online traffic which helps a company in generating new customers. Diploma in Digital Marketing is an unique program for Corporate Promoter and even an unemployed graduates. The growth of Diggital media, and Digital channels like E-Commerce, Social Media, Smart Phone etc. Our Training Program divided into equal phase of Practical and theory session, 50 sessions is created by professionals in the Digital Marketing Industry aims to give you an overview of all marketing channels in Digital Media including SEO, SEM, Online Advertising, Email Marketing, Content Marketing, Website Design, Web Analytics and Online PR, and other digital services. "Well Trained (Educated) Tutors/Trainers are their in Sriwebeo , I Loved this place to Learn Digital Marketing. Thanks for Sriwebeo & Sriwebeo Trainers. " 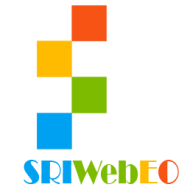 SRIWEBEO ACADEMY conducts classes in C++ Language, Computer Course and Digital Marketing Training. It is located in Saibaba Mission, Coimbatore. It takes Regular Classes- at the Institute. It has got 1 reviews till now with 100% positive feedback.